Discontinued. 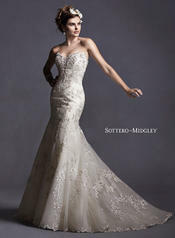 Glimmering lace appliques trail a soft tulle skirt in this fit and flare wedding dress. 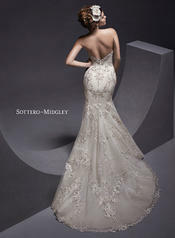 Floral lace appliques trace the hem and adorn a plunging illusion sweetheart neckline. Finished with crystal button with corset back closure. Please call store for sale price.